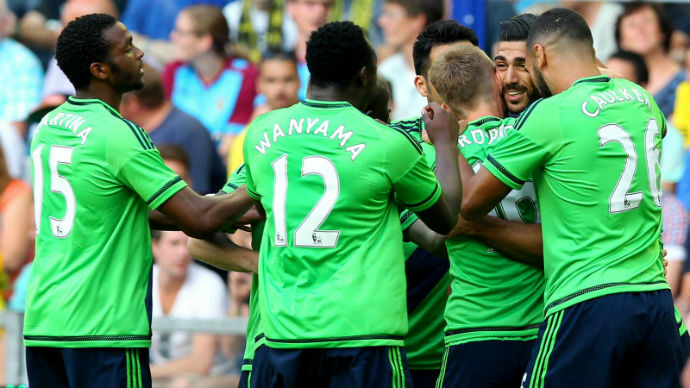 ARNHEM, Sporting Alert – Graziano Pelle and Sadio Mane scored a goal each and Southampton beat Vitesse Arnhem 2-0 in the second leg of their Europa League Qualifying 3rd Round game at GelreDome on Thursday. The two-goal victory saw the Saints taking the tie 5-0 on aggregate after winning the first leg 3-0. The English Premier League outfits scored early and then late in the game to secure the commanding two-legged contest. Pelle got the game’s opening goal when he took a close range pass from James Ward-Prowse, turned his way past a defender inside the box, before finishing well into the bottom corner of the net in the fourth minute. It was the fifth time in a row the 30-year-old was scoring against Vitesse Arnhem. The hard-working Mane then doubled the lead for the English Premier League side in the 89th minute. Picking off a defender inside the Vitesse half, the Senegalese striker drove towards goal before firing home a left-footed strike from outside the box under goalkeeper Eloy Room. Even with the healthy lead, the Saints kept pushing for more goals and could have grabbed another one had midfielder Victor Wanyama managed to beat Room in stoppage. From the resulting corner kick, Wanyama put his header wide, which meant there wasn’t going to be another 3-0 victory for Ronald Koeman’s side in the second leg. Nevertheless, it was a satisfying victory on Thursday for Southampton, who were progressing in European competition for the first time since 1991. Vitesse Team: Room, Diks, Kashia (c), Van der Werff (Achenteh 72), Leerdam, Baker (Pantic 80), Nakamba, Vako, Brown (Nathan 69), Rashica, Oliynyk. Substitutes: Velthuizen (GK), Djurdjevic, Osman, Lelieveld. Southampton Team: Stekelenburg, Caulker, Yoshida, Fonte (c), Martina, Ward-Prowse, Wanyama, S. Davis (Reed 77), Mané, Tadić (Juanmi 65), Pellè (Rodriguez 71). Substitutes: K. Davis (GK), Cédric, Targett, McQueen.